Amazing Maps! 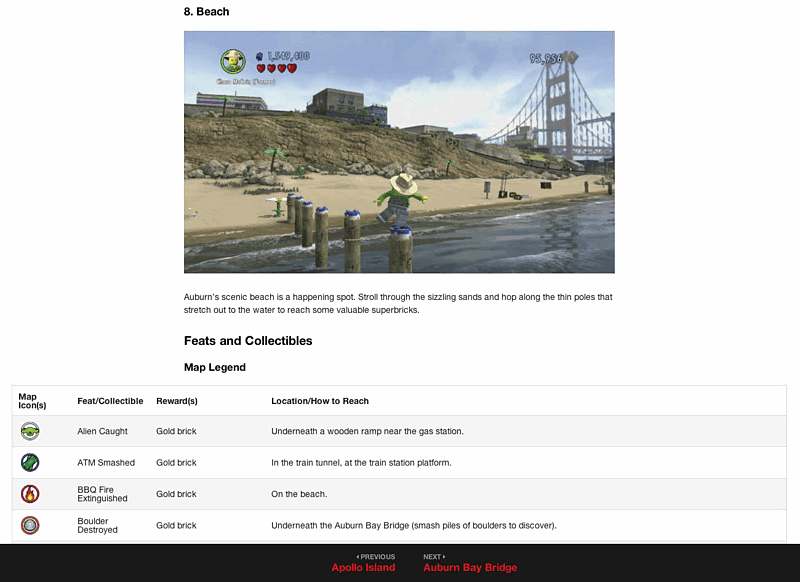 – Every Red Brick, Gold Brick, vehicle and more are labeled on maps of ever mission. 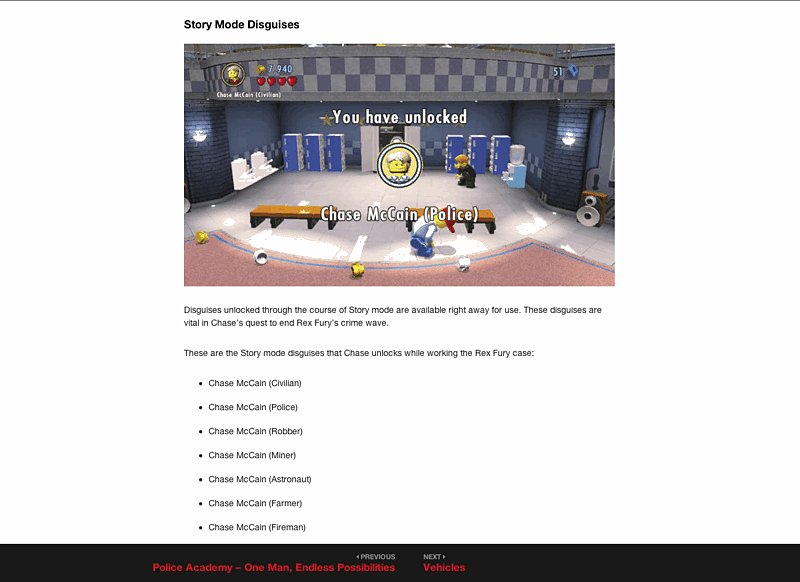 Step-by-Step Walkthrough – Every mission is detailed in an easy to follow format and includes all Free Play content. 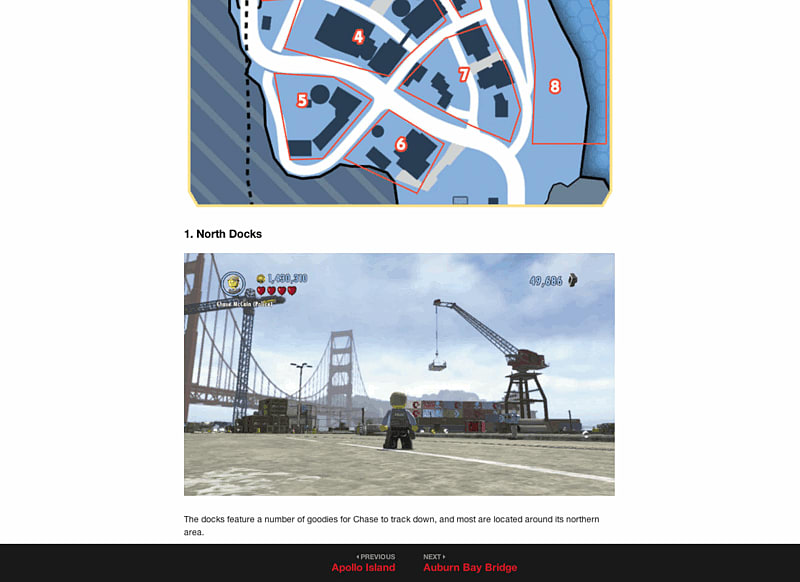 Characters & Vehicles – Lego City is loaded with 400 different characters and vehicles, and this guide shows you how to unlock them all. Responsive web design optimizes your eGuide to fit your device no matter the screen size.